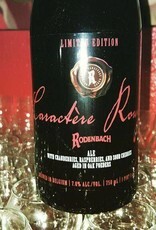 "RODENBACH Caractère Rouge was developed in 2011 in collaboration with top chef Viki Geunes (2 Michelin stars). 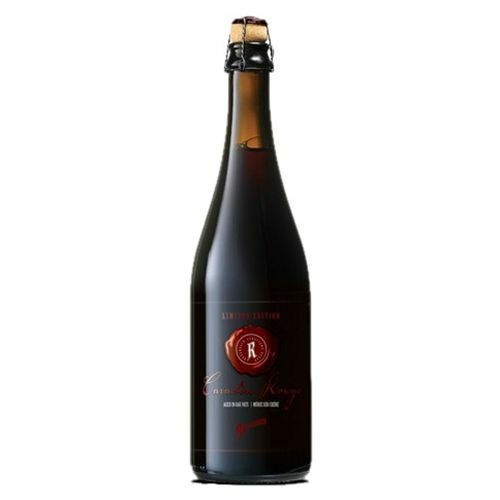 This exclusive beer is created by adding an extra six months’ fermenting maceration with cherries, raspberries and cranberries to beer that has already undergone two years’ maturation in oak casks. 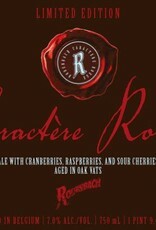 The result is an exceptional RODENBACH with a 7% alcohol by volume. 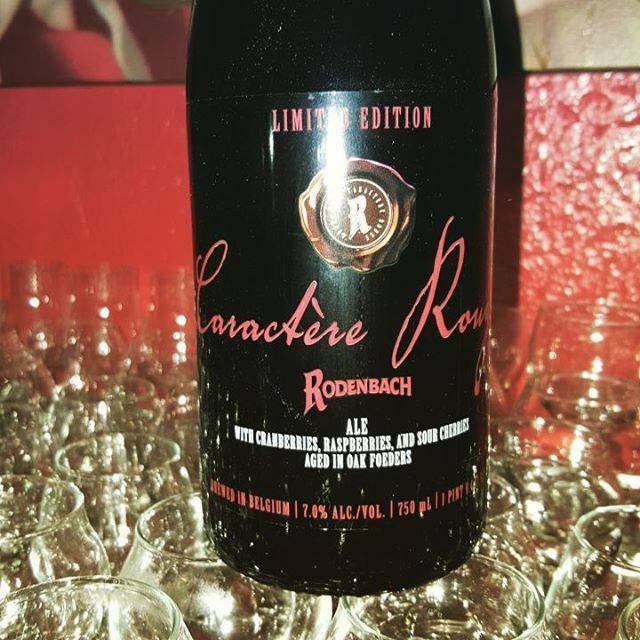 RODENBACH Caractère Rouge is vinous with a very complex, fruity nose of raspberry and cherry combined with notes of wood and caramel. 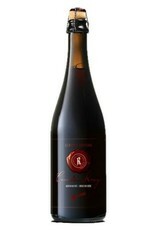 The undertone consists of an aroma of violets, leather and a hint of tobacco. The taste is rather sour but exceptionally pure. 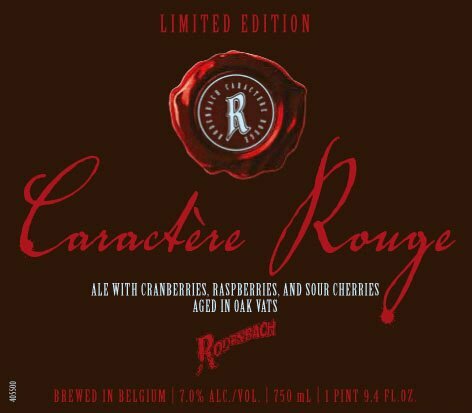 With its long, clean aftertaste and its unique combination of delicacy and strength, RODENBACH Caractère Rouge is reminiscent of a crisp Burgundy wine. This noble beer is unique and exclusive. In his restaurant ’t Zilte, Viki Geunes combines this willful beer with his sophisticated gastronomic creations."